Dakotaz and High Distortion open a Treasure Map chest. Fortnite’s v8.01 patch introduced Treasure Maps into the game that allow players to get some great loot if they follow the map. 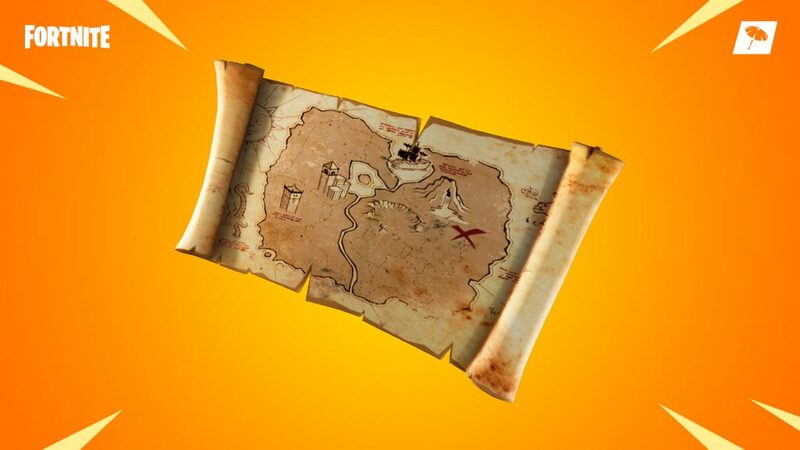 The big addition with the Fortnite v8.01 update is the inclusion of the all-new Treasure Map item. These new maps allow players to dig up some good loot on the way to a Victory Royale. Treasure Maps are available through floor and chest loot but players can only hang onto one at a time. Opening the map shows players where to find the ‘X’ but if you’re confused you can always follow the huge golden beacon. 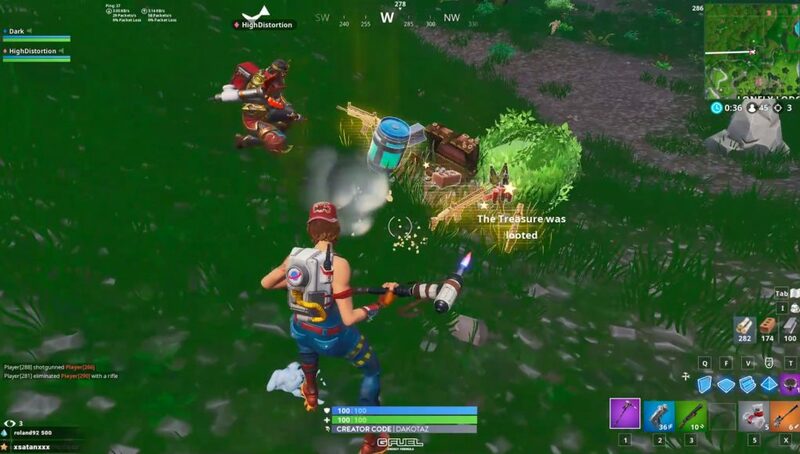 After reaching your destination you will need to use your pickaxe to dig up the reward. This isn’t just your normal treasure chest but it will actually be loaded up with Legendary gear. Think of it as a Supply Drop that you dig up. The chest will be loaded with weapons and materials that will surely end up giving you an advantage in your next fight. With all that said, that’s pretty much all you need to know about the Treasure Maps. They are a rare item but when you get your hands on one you’re going to want to find that loot. Fortnite added Treasure Maps with update v8.01. It’s worth mentioning, like other items, treasure maps can be taken from you. If a player eliminates you they can take the map and steal your treasure. On the other hand, you are able to eliminate a player and take their map and loot. Have you liked the addition of Treasure Maps so far?